The CASCADE CHORALE is a community chorus and is part of the music department at Central Oregon Community College. When the College was founded in 1949, its first president, Dr. Donald Pence, saw to it that the school had a choir from the very start. For several years it performed on an irregular basis. In 1967 a community chorus that met on a more regular basis was established, and came to be known as the Central Oregon Concert Chorus. We currently have members who’ve sung with the chorus since David Evans was the director, over 50 years ago, as well as members who moved to town just last year. From 1978-1995 the chorus was directed by Forrest Daniel. Under his leadership, in addition to its regular concerts, it gave performances of Handel’s Messiah every other year, took trips to Germany in 1988 and 1992, and a group from the chorus sang at Carnegie Hall in 1993. During those years the chorus hosted three different choirs from Europe that were touring the United States, as well as a choir from Canada. From 1995-2004, Dr. Clyde Thompson was the director of the chorus. During the summer of 1996, the chorus traveled to Alberta, Canada on a concert tour. In 1997, the name of the group was changed to Cascade Chorale, in honor of the Cascade Mountain range that lies just a half-hour from the college. The group toured England in 1998 and Victoria, B.C. in 2000. 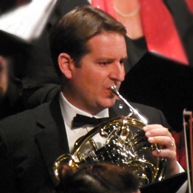 James W. Knox began as director in 2004. In December, 2005, the Holiday Magic concerts began at the Tower Theatre, featuring the Chorale and benefiting Abilitree and other organizations. Holiday Magic moved to Summit High School for a few years, then returned to the Tower in 2014. Accompanied by a full orchestra, these concerts have become an annual tradition. Members of the Chorale joined groups from three other colleges in concerts in Vienna and Salzburg, Austria, in the summer of 2017. The group gives three formal concerts each year in December, March and June, performing repertoire from all styles and periods of choral music.